It’s time to “Color Your Destiny” with the bright colors and rich textures of China Glaze’s exclusive The Giver nail polish collection. Inspired by the most anticipated movie release of the summer, the collection combines bold and neutral crèmes, and a gorgeous glitter to create 12 limited edition shades. 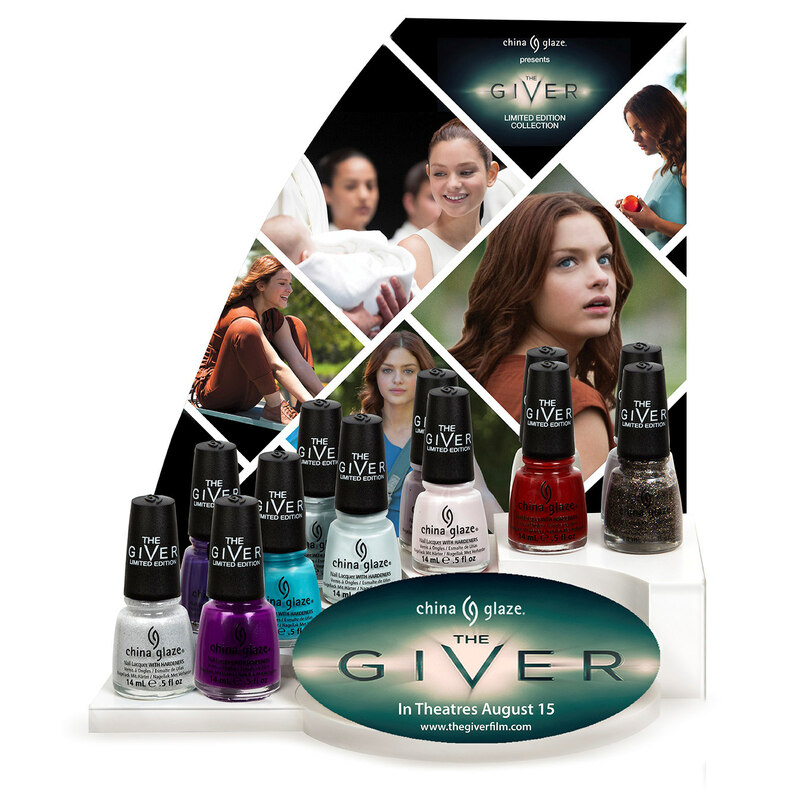 Influenced by the powerful themes and message of the story, The Giver collection by China Glaze brings key moments and characters to color, particularly the main character Jonas (portrayed by Brendon Thwaites) and his friend Fiona (portrayed by Odeya Rush) as he struggles to understand the dark, complex secrets behind his seemingly ideal community. The film will open in theatres Friday, August 15, 2014. China Glaze, The Giver limited edition nail polish collection is available now at beauty supply stores nationwide including Sally Beauty and Ulta stores. Individual shades retail for $7.50 MSRP.